Greek wedding favors handmade with two white and one silver tulles and decorated with pink fabric rose petals. The dimension of the tulle is 45 x 45 cm and they are available in many colors. 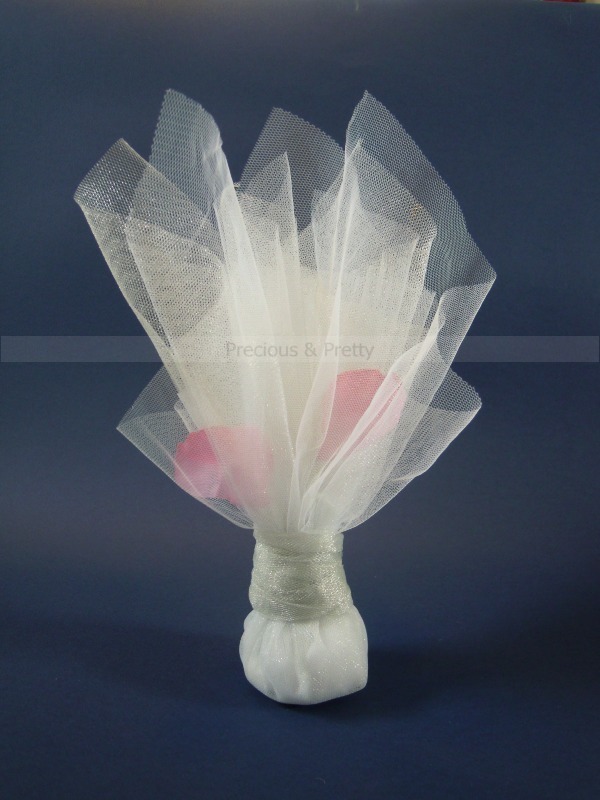 The wedding favors contain tulle with 7 sugar coated almonds koufeta. https://www.preciousandpretty.com/2012/03/greek-wedding-favors-silver-white-tulle.html Greek Wedding Favors|Orthodox Crowns|Stefana|Baptism Invitations Greek wedding favors with tulles and pink rose petals G102 Greek wedding favors with tulles, pink rose petals and koufeta. Product #: Greek Wedding Favors|Orthodox Crowns|Stefana|Baptism Invitations_56974462270154932 5 stars out of 5 reviews.